If you have dark colored teeth, a cracked tooth or other aesthetic problems, Warwick cosmetic dentistry at Oaklawn Family Dental Association can help. Our patient and friendly team enjoys transforming smiles. For experienced Warwick cosmetic dentistry, call Edward Kaiser, D.D.S. at (401) 463-7676, or use the easy form on our website. Let's set up your appointment. We're here to transform your winning new smile! Dr. Edward Kaiser and his friendly team are committed to helping your receive the personalized cosmetic dentistry care you need. At Oaklawn Family Dental Association our staff is trained in the latest techniques. 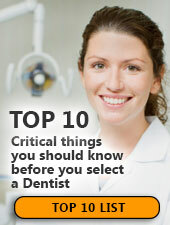 If you need to find a dentist contact us at (855) 396-2188 for a map, office hours and directions. We're looking forward to helping your learn about your options for affordable cosmetic dentistry.